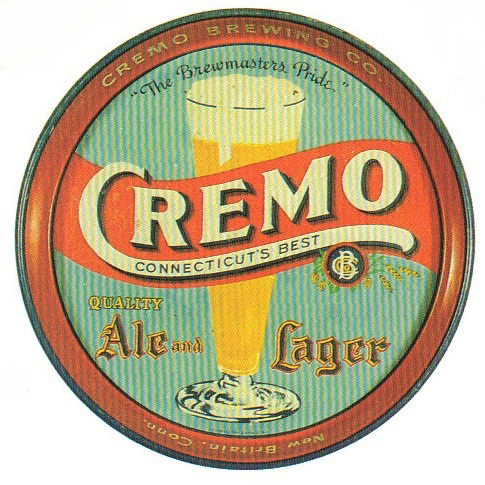 Serving Tray for Connecticut’s Best Quality Ale and Lager from The Cremo Brewing Company out of New Britain, Conn. The central figure is a tall glass of the company’s brew. Text across the top states “The Brewmasters Pride.” This 12″ round tray was produced by the Universal Tray and Sign Co. and dates to the 1930s.